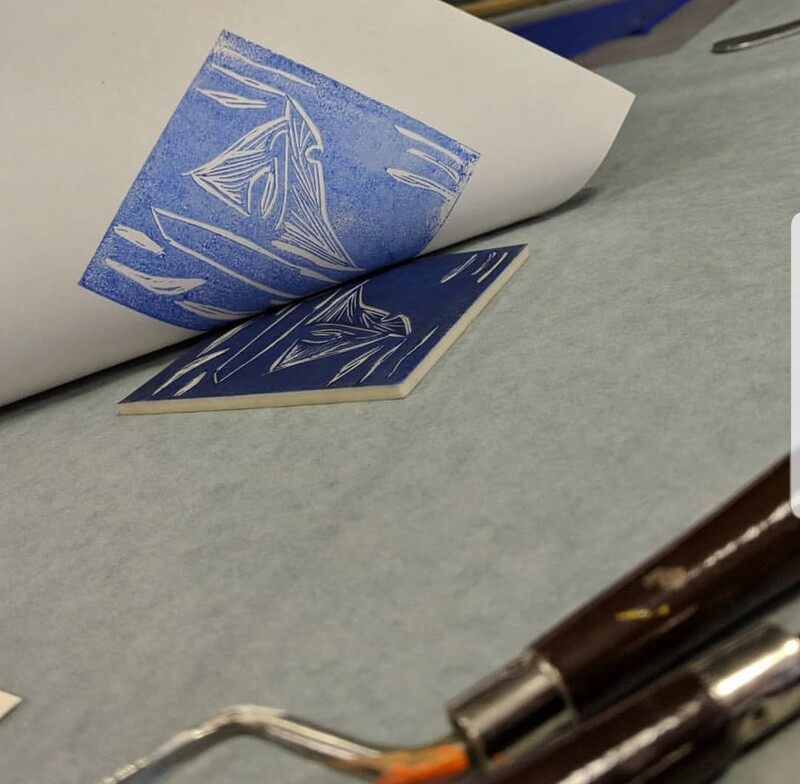 Join Jenni for a fun, 3-hour introduction to relief printmaking using the linocut method. Bring your own designs or use one of the decorative letter templates provided to carve your own print block (a selection of participants’ first initials will be available). Learn about the properties of different papers and inks as you create your prints. All materials are included and there will be a full safety briefing/demo before you get started. Printmakers are asked to wear old clothes/an apron, and to bring a tablespoon/old wooden spoon. This is a small workshop and places are limited.